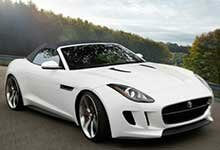 All of our Jaguar F Type car mats are tailored to fit the floor perfectly. We can supply sets for vehicles manufactured in the years 2013-Onwards. Our mats are guaranteed to improve the aesthetics of your interior, reduce road noise and protect the original carpet. Delivery of these custom Jaguar F Type car mats is completely free of charge to ALL of Australia.